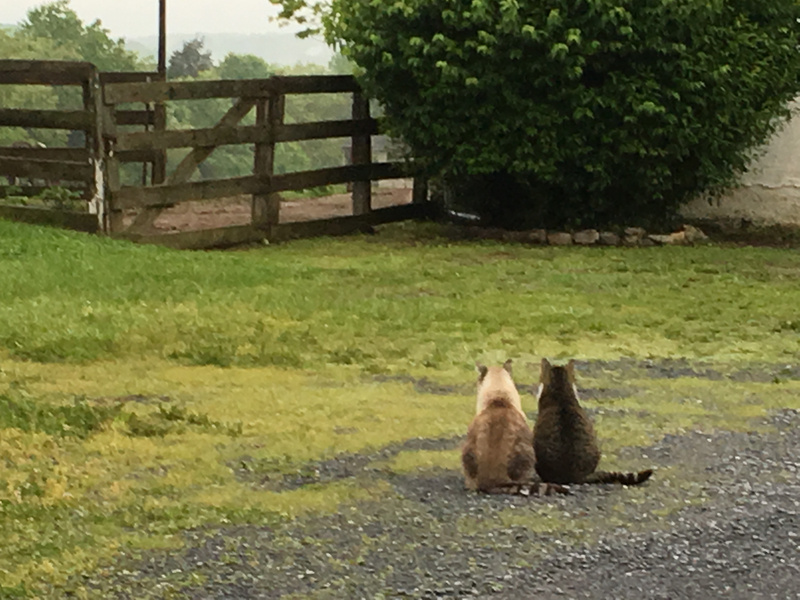 When the ladies at E&E Rescue asked me if I would consider taking on a feral barn cat at our new farm in West Virginia, I said sure – feral cats are really low maintenance, right? Within 3 days, Carson was watching me (with those Paul Newman blue eyes!!) from the loft in the barn, looking hungry, so I added him to the feeding routine. Within 30 days, Carson was on the patio, sitting in the kitchen window, and most surprisingly, Luke (OTC Cover June 2015) was not chasing him away! So, I brought out a can of yummy smelly cat food, and within seconds, the “feral barn cat” was in my lap, purring like a motorboat, wanting his belly rubbed! That was four years ago and since then, Carson has become the most important member of our clowder! 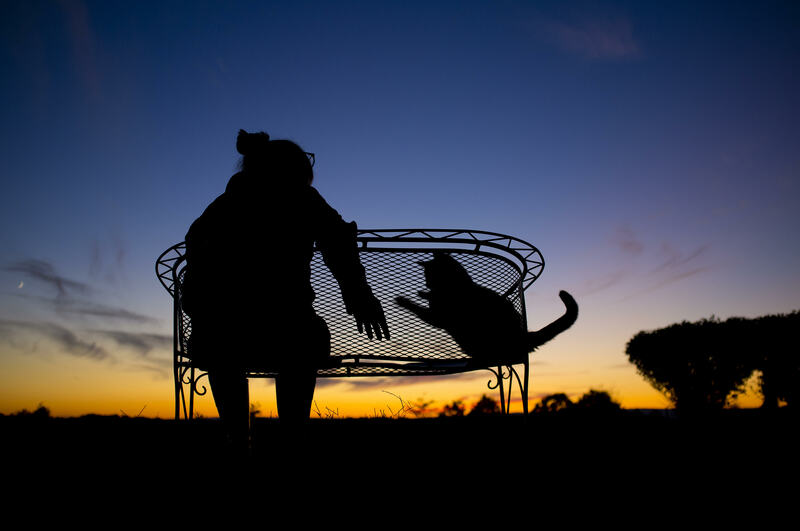 Prior to his arrival, we had a group of “only cats” – think of adopting “only children” and asking them to adjust to having siblings, something that wasn’t exactly working. Enter Carson. He exudes love, friendship, and wants the same back. He plays with everyone, snuggles with almost everyone, and never leaves my side if I don’t feel well. Now, don’t get me wrong, there was a reason they thought Carson was feral…he is terrified of going to the vet, so we never take him alone (our cat BOB is Carson’s “vet-buddy”); nail clipping/flea treatment day takes inordinate planning to catch him; no one can give him meds, not even the vet. Carson is a lynx-point Siamese, and his feelings get hurt very easily. He’s fiercely protective of his siblings, and hates it when the other cats fight. He doesn’t like change, and when he’s “in,” he’s “all in.” For example, when we added BOB to the clowder, Carson was VERY upset. Nothing BOB could do would convince Carson that this was a good thing. Slowly, over time, he came around, and now, Carson and BOB are BFFs. If you’re ever at Bokeh Ridge Farm, and you see Carson by himself, I assure you, it’s a short-term situation, not of Carson’s choosing. Publishers Note: Adrienne has been a champion of animals her whole life. She and her husband Chris currently have five rescued felines, three equine types and a one-eyed donkey in their menagerie on the farm. Remember that June is “Adopt-A-Cat” month. If you have room in your heart and home for a furry friend, think about a kitty.